Pets in general are the victims of constant bombardment by parasites and worms. They are flanked by assaults due to their environment, food sources, and exposure to other pets. This untiring influence is a prime reason for disease and cutting their lives short. As pets age, parasites and worms not only grow in intensity, but populations continue to multiply day and night. Parasites and worms harbor pathogens such as viruses, bacteria, fungus, and deadly toxins. As a result, parasites and worms are able to absorb or block the very nutrition pets need to sustain life. Due to their existence, they pump waste products into the vital areas of our pets. As the parasite and worm populations die, they flood the internals of our pets with pathogens and toxins which feed an explosion of new growth. Parasites and worms cause a myriad of disease and unhealthy situations for our pets. Allergies, various skin conditions, joint pain, diabetes, metabolic disorders, and degradation of organ systems all have this common denominator. Parasites and worms have also been blamed on the spread of cancer. Parasites and worms can cause a pet not to live to its potential and optimal capability. They can create poor behavioral patterns and depression. They can effect socializing capabilities and cause erratic behavior and the inability to assimilate within their own groups. They can also advance aging and rob a pet of its youthful exuberance. The explosive growth capabilities of parasites and worms can cause metabolic exhaustion and many skin or fur conditions. When pets become overwhelmed, itching, constant scratching, and gnawing at joint sites can be signs of an ever increasing population problem. Take for example; the roundworm can produce up to 200,000 eggs per day. Some tapeworms can produce 1 million eggs per day. It is only a matter of time before parasites and worms are in control and create a downward spiral in our pet’s health. 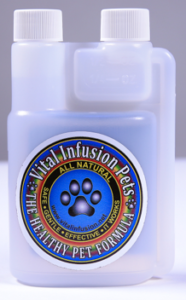 Vital Infusion Labs produces VIP- Vital Infusion Pets as a solution to take control the parasite and worm populations within our pets. VIP plus normal regularly scheduled checkups with your Veterinarian can add years and quality of life. As a lifelong pet owner I know what it means to have a loyal friend and companion. Someone who depends on you for their emotional well-being and health. We give our pets love and life support and they give it back it us ten-fold. There is no more pure relationship we can have here on Earth. We all strive to give our animal friends the best we can. Vital Infusions for Pets is a simple and comprehensive way to keep all your pets: cats, dogs, fish, rodents, snakes, in prime condition. Of course, it is vitally important to maintain a healthy lifestyle - all creatures (including we humans) feel better and live better lives by following simple and fundamental nutritional guidelines. At last, here is a formula approved by nature and backed by science to help your pets maintain an overall health experience. Increase vitality, longevity and youthful vigor while eliminating harmful parasites, fungus and pathogens. Our formula is safe for all pets, fish included, and the benefits of one treatment can last up to six months. Now you and your beloved animal friends can enjoy a new-found health and happiness. Remove and/or control parasites and worms. Healthier organs and nervous system, stronger muscles and joints.Internal virus, bacteria, fungus, and toxin cleansing. Healthier coats, scales, skin, fur, or hair. Note: The above formulas are converted into an ultra-gentle 29xx homeopathic potency. To bring your pet’s body back to balance. Is VIP safe for all animals? Yes. VIP is gentle on animals, but tough on parasites, fungus and pathogens. Is VIP for sick animals as well as healthy animals? Yes. Even though results may vary, miracles can happen. It is worth a try. We must remember that some sick pets are not meant to survive; this is the way of nature. We must respect this. Is VIP a replacement for your pet’s veterinarian? No. Your vet is an essential part of your pet’s life. Regular check ups are important to keep your pet healthy. Will VIP work with only one box? With the majority of pets, many results are noticeable within one box cycle. 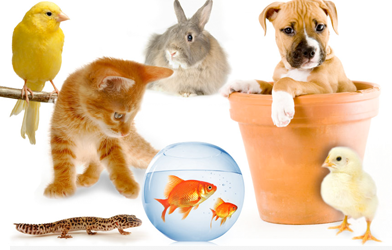 However with some larger pets or more unhealthy pets, additional formulas may be required beyond one box. How long does one treatment of VIP last? Up to six months. To maintain pet health, repeat every six months. Each treatment builds upon the previous for added benefits. VIP is designed as a two stage process. The first stage works on a type of fungus with a Tubercular/Malathion component that attacks the spinal column and weakens the joints within the body. The elimination of this fungal complex increases musculo-skeletal strength and resiliency. Stage two works to eliminate and control certain viruses, bacteria, and fungus that are common denominators within a majority of animals. We then focus on eliminating the specific parasitic/worm hierarchy and levels, reducing various elements of their food chain. As food becomes scarce, the parasitic/worm population levels dissipate. 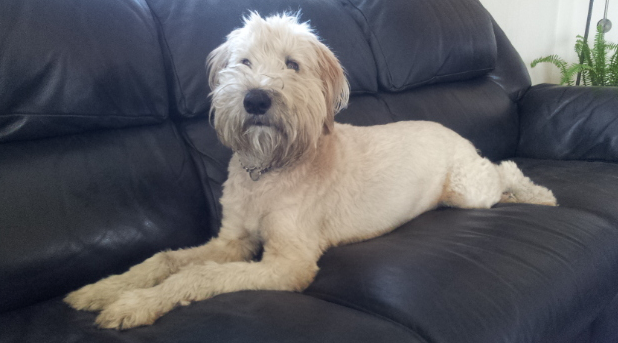 Into VIP, we have instilled many components that create a balance within your pet’s body. There is gentle detoxification, joint stabilization, and organ revitalization occurring. The components of VIP create a balanced, harmonious, healthy environment within your pet that can last up to six months, with each treatment building upon the previous for added benefit. Remove small reservoir cap and squeeze 1/4 oz. of VIP into the reservoir. Pour into mixing bottle and add purified water one inch from the top. Shake mixing bottle vigorously for 20 to 30 seconds. Pour into pet's empty water dish. Give VIP solution to pet for at least 12 days, or more if desired. During program, make VIP your pet's only water source. For maintenance repeat program every six months. VIP will stay active within your pet for up to 6 months. VIP is safe and gentle so that you can administer as frequently as desired. Contains proprietary homeopathic blend, water and aloe vera. Not intended to treat, diagnose or cure any disease.